James King has written two biographies of Canadian artists. Inward Journey: The Life of Lawren Harris is the first biography of the leading spokesman of the Group of Seven and the creator of some of the most iconic images in Canadian art. 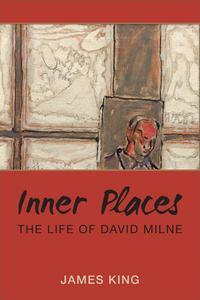 His most recent book is Inner Places: The Life of David Milne. In both books, King emphasizes the connection between life experience and artistic expression. In this resplendently illustrated history, Reid marshals significant details in the life experience of Canada’s major painters in such as way as to demonstrate how “our best painters have managed to find common ground in their genuine desire to confront the Canadian sensibility through the medium of their art.” Anecdotal details are carefully assembled to give the reader a sense of the time and place in which these artists defined Canada in their paintings. This book is the best starting place to begin an exploration of the creativity of our country’s painters. There are other biographies of Carr, but Blanchard’s book is the best at confronting the angry and determined turbulent inner world of her subject. The author argues that Carr would not bend to the patronizing attitude of the male-dominated hierarchy. She “would not be what 'they' wanted her to be, and it was partly to spite ‘them’ that she became what she was.” The recreation of Carr’s childhood is masterful; her rugged determination and her questing to uncover the truth of her own experience and that of the indigenous peoples of British Columbia is stirringly told. This is psychological biography at its very best. Jackson is a tough customer as a biographical subject. He was obsessively concerned with his work and his inner demons are hard to uncover. Larsen, himself a painter, does the best job possible in order to bring Jackson to life. 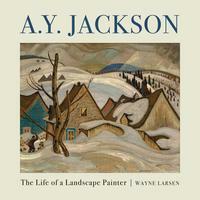 For many, Jackson became the embodiment of the Group of Seven well after it had ceased to exist. Larsen is particularly adept at showing the “public” Jackson. He also emphasizes how Jackson’s experience in France allowed him to introduce “impressionist” values into his work. All in all, this is a magnificent recreation of the subject’s life. In an absorbing account of the formation of the Group, its turbulent history and its afterlife in the Canadian imagination, Ross King recreates in considerable detail the interactions among the members of the legendary Seven. Group biographies are notoriously difficult to keep afloat, but King succeeds at this task with considerable aplomb. In a beautifully illustrated and movingly told narrative, Lind recreates her subject’s turbulent life. Wieland’s childhood, her marriage to Michael Snow, her unhappy time in New York, her return to Canada, her major exhibitions, her career as a filmmaker and her battle with Alzheimer’s are deftly recreated. Wieland once said: “Everything I do is so personal. Personal in the sense that the men and women I draw are both usually me.” Lind, well aware of this statement, takes full advantage of that fact and, in so doing, fashions a deeply moving narrative. In its own words, “The Art Canada Institute is a non-profit research organization based at Massey College, University of Toronto. Founded in 2012, the ACI is the only national institution whose mandate is to promote the study of an inclusive multi-vocal Canadian art history to as broad an audience as possible, in both English and French, within Canada and internationally. The ACI works with more than 50 of Canada’s leading art historians, curators, and visual culture experts who are dedicated to the creation of authoritative original content on the people, themes, and topics that have defined Canadian art history.” To date, 18 online, magnificently illustrated biographies have appeared of artists as diverse as Jack Chambers, Prudence Heward, Oscar Cahén and Pitseolak Ashoona; many more titles are on the way. Each entry begins with the life history of the subject and then treats major works, significant themes and important critical issues. ACI’s very ambitious goal is to create a living history of all major Canadian artists. Biographies of artists are successful when they manage to penetrate that mysterious gap between life experience and artistic expression. This is not an easy task. The biographer of an artist is not simply an art historian and he can never be a mere chronicler. Such a life writer must be willing to enter and explore the nether world where art comes into existence. My recommendations are devoted to life histories that meet this difficult standard. David Milne (1882–1953) dedicated his life to exploring nature and casting it into art in a variety of modernist formats. He was born into poverty in rural Ontario and remained poor all his life because of his relentless dedication to his art. For him, art was life. Nothing mattered to him as much as the enormous “kick“ he felt when he was able to produce the image his artist's eye told him was there. Milne returned to Ontario in 1929 after a twenty-five-year stay in the United States. In every place he lived his peripatetic existence, Milne created a different kind of landscape painting. In his chosen life of solitude, his mind and hand remained very much alive. Since Milne spent as much time writing as he did painting, he provides an enormous amount of material for a life writer. His biography re-creates the texture of the artist's one-of-a-kind life and struggles, allowing a truly intimate portrait to emerge. The first complete biography ever published of Group of Seven artist and spokesman Lawren Harris. Lawren Harris (1885-1970) is among the most iconic of Canadian artists. Harris was an outspoken defender of modernism, and a very private person. 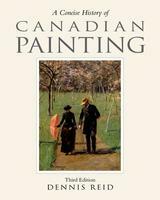 In this gripping, sympathetic account, James King writes about Harris’ public persona as the spokesman for the Group of Seven as well as his championship of Canadian art and artists. Born to great wealth, Harris spent much of his existence selflessly promoting Canadian painting and the interests of his fellow artists. But Harris’ own personal struggle to become an artist was long and complex, and he was beset by much turmoil throughout his life. When, early in 1930, he achieved his creative peak—in paintings such as North of Lake Superior—he turned his back on representational art and spent the remainder of his career becoming an abstract painter. Harris’ unhappy first marriage, his flight to New Hampshire and New Mexico, his sometimes overbearing attitude towards younger artists, and the full magnitude of his inner struggles are all dealt with fully in this sensitive, engaging narrative that captures the complexity of the man behind the mask.